Design your own installer checklist to ensure installation quality. Sell Your STCs on when it is qualified or it is approved by CER, it is all up to you. Always providing the best rate on the market, if not, we can do the price match. (T&C applies). Schedule, track and manage your jobs from the start to the very end. Customise & create your very own CEC installer checklist to ensure a consistent installation procedure every time. Send an email with the STC form attached, allowing the Owner to sign it on their computer with just a click of a button. Trading STC has never been easier, the automatic STC rules minimise your potential STC submission issues upfront. Allowing you to see all of your scheduled jobs on one dashboard, know your jobs and installer arrangments. Tracking and Managing all of your service jobs, making sure you obtain every detail necessary. 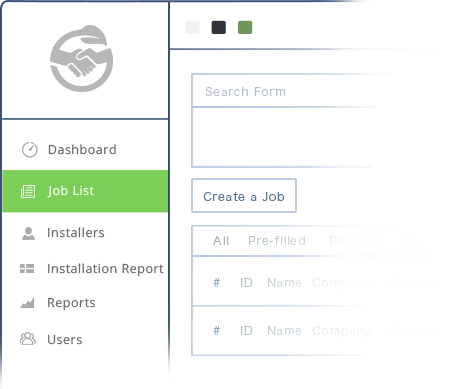 Track all your jobs in scheduled, installing and installed statuses at your fingertips. A checklist that generates all of your work in one job pack and make sure you have completed every checkpoint required. Getting customer signed on the spot with the use of our app, and scan it onsite with the barcode scanner to make sure what you scanned is what you install. Create a service job checklist to generate all of your service job details in one simple and convenient place. Our vision is to be your Simple Solar Platform for all your solar needs, by reducing not only the complexity of STC trading but by using our variety of services that will Streamline your solar business. We reduce the complexity of STC trading by adding automatic STC rules that check as you go. Customise the CEC installer checklist and add your own steps to ensure a consistent procedure is followed and all necessary data is recorded. Job management allows you to see and track the progress of your jobs from the start to the end. The Green Deal Installer app(iOS and Android), makes the collaboration between Retailer and Installer simple and the whole procedure is paperless, everything is stored on a cloud.  You no longer need to have multiple applications, spreadsheets or struggle to find past customer details, streamline your business today.